Home School Online: Teaching Our Children To Be Thinkers! Preparing Our Children To Be “THINKERS” instead of FOLLOWERS! When I began my home education journey twelve years ago I had this unrealistic picture in my head that I would be able to balance homeschool, homemaking and outside activities ALL with a smile on my face and a spring in my step! I quickly found this was not possible on a consistent basis. Especially as we added more children to our home. Life got busy and things began to fall through the cracks. I was so thankful that there were homeschool programs available that my children could do independently. However, I vowed that we would only use them until things settled down, because I wanted to be a part of my children’s learning experiences. Let me share a perfect example from the other day. My son Seth walked up to me out of nowhere to tell me about the sun....., "Mom did you know the sun was a star?" (Big Happy Mama Smile) I asked him where he learned of this and he said, "Time4learning". (He looked at me as though I was a little slow on the uptake, grin) He began telling me fact, after face, after fact. You see, HE became the teacher and I quickly became his student. This is what SELF education is all about. Don’t misunderstand, I LOVE snuggling together to read-a-loud rich literature! I LOVE occasionally hunkering down and doing a unit study! I LOVE watching educational shows together as a family and letting those be the springboard to dig deeper, BUT at the end of the day I want my boys to know how to think for themselves. As the years have gone by we have found that we LOVE plugging into our local homeschool co-op. I have found a passion leading our monthly homeschool support group meetings. We’ve added children and taken care of our ailing Grandmother, but no matter how busy or full life becomes my sons simply pop on their headphones, type in their username and password and begin their wonderful journey of self education. 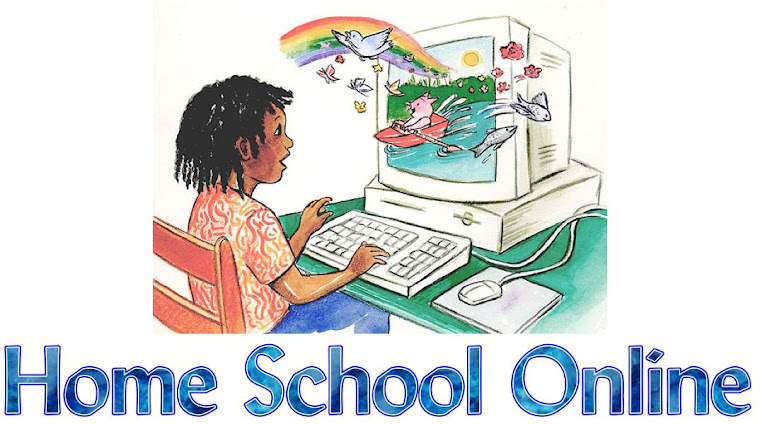 In the midst of LIFE, on-line education has allowed our homeschool program to keep going STRONG! Yes, I still have to (want to) be available to answer questions, to have discussions, to check their work and to cheer them on, but I can let go of having to make lesson plans, pull things together, to sit down and do the teaching. The truth is my heart is at war with my goals at times because I want to be a part of everything they are reading, thinking, learning and doing, but I have to tread cautiously as I don’t want to teach them to be dependent upon ME. One day they will leave my home and I want them to forever be....., LIFETIME learners! What a great article, if we had an additional computer I would go back to T4Ling. Thanks or the inspiration. Thank you MamaMary for sharing your experiences with TFL. I'm glad that you found something that fits nicely with your family and you have found the joy of homeschooling again.